This is just one of the by-products of the prevalent ‘prosperity’ preaching we hear so often now. The idea that you, as ‘a child of God’, have all this privilege and right and entitlement, then you are entitled to ‘be proud’. We could just as easily re-word that to ‘feel smug’ or even ‘claim self-righteousness’. Couldn’t we? The main problem here is that, as can be seen from the above, it can fit nice and easily into positive messages that make us feel good; the rest of the ‘quote’, after ‘be proud’ is quite acceptable. 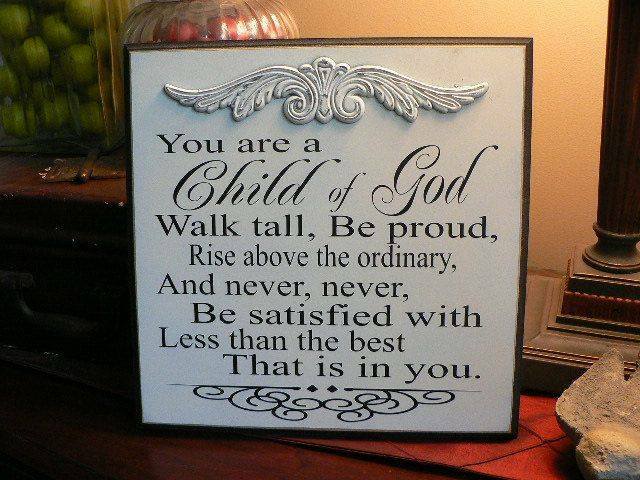 Of course I should rise above the ordinary and never be satisfied with doing less than my best, etc. but should I be proud? It is something which can be taken in what you do, your actions (Gal. 6:4), a ministry you have (Rom. 11:13), in others who serve you (2Cor. 5:12) or in those who are the fruits of your service (2Cor. 7:4; 8:24). However, taking pride in yourself flies in the face of all the warnings and commands to humble yourself (2Chron. 7:14; Psalm 18:27; 147:6; Isa. 2:6-22; 13:11; Zeph. 2:3; Eph. 4:2; James 4:10; 1Pet. 5:6). You may ask; is this an important point? If we are to highlight the message of the gospel of God’s grace, surely we recognise that to receive such grace, we must humble ourselves: Surely He scorns the scornful, but gives grace to the humble. (Prov. 3:34 NKJV) This verse is important enough to be quoted by both James and Peter in their epistles. Why would I risk turning my back on the very humility that ushered me to that beautiful place of the bestowment of his grace? There are many things that we can discount as ‘false gospels’ but the worst are the ones that sound good! Thank you very much. I am looking for outlets and links for my blog. I shall do so.